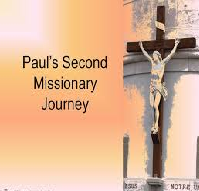 Paul the Second Founder of Christianity Paul is usually seen as a “second founder” of Christianity, after Jesus. At the same time, however, some scholars are quick to draw major distinctions between them, so that Jesus was a preacher of the kingdom of God while Paul helped establish Christianity as a religious system. This paper asks you to compare and contrast two test-cases for this line of thinking: the “Sermon on the Mount” in Matthew’s Gospel (and parallel “Sermon on the Plain” in Luke) and Paul’s instructions to the church in 1 Corinthians (particularly in chapters 5-7, but elsewhere also). – Summarize and analyze what you think is important in these discourses, particularly for comparative purposes. Make sure to situate them in their context using the materials available to us (the study Bible); a literal reading as if they were written today will not suffice. particular use at this point. Use at least two secondary sources (I have listed several below that are on reserve) to help substantiate your point. – Conclude by giving your considered opinion on whether Paul merits the claim as a co-founder of Christianity, and to what extent his teaching can and should be distinguished from that of Jesus.